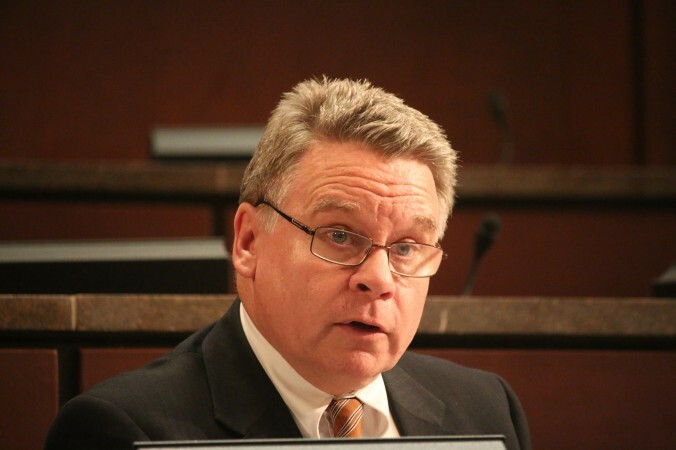 U.S. Rep. Chris Smith (R-N.J.) has introduced legislation to tackle China’s harmful political influence in the United States. “Beijing’s influence operations are sophisticated and threatening. They include efforts to coerce and corrupt U.S. interests, institutions and individuals while fostering attitudes and outcomes favorable to the Chinese Communist Party,” Smith said in a March 18 statement from his office. The new bill, named “Countering the Chinese Government and Communist Party’s Political Influence Operations Act,” calls for an unclassified U.S. interagency report to be compiled on how Beijing carries out its political influence operations in the United States. If the bill is passed, the Secretary of State, together with the Director of National Intelligence and other federal departments and agencies, would draft the report and submit it to congressional committees. “My bill would help ensure that Congress and the American public are fully informed of China’s malign goals, and would help identify the key institutions, entities, and individuals that carry out these activities,” Smith said in the statement. The proposed bill, which would increase public awareness of China’s agenda, is an indication that Western democracies are finally realizing China’s “sinister moves” and taking measures against them, Vincent Wang, a professor of politics at Ithaca College in New York, said in a phone interview with The Epoch Times. The bill also calls for requiring Confucius Institutes, as well as think tanks, academic programs, and nongovernmental organizations funded by Beijing, to register with the federal government through the Foreign Agents Registration Act (FARA). More than 100 U.S. universities and colleges host these Beijing-funded education programs. Since 2006, the Chinese regime has channeled more than $158 million to fund Confucius Institutes, according to a report published in February by the Senate Permanent Subcommittee on Investigations, after an eight-month investigation. Senate investigators found that Beijing controls every aspect of the institutes, including funding, the hiring of staff, and programming. The report also found that CI instructors must sign contracts in which they pledge that they won’t damage the national interests of China, while certain subjects deemed taboo by the Chinese regime are banned from CI classrooms. “There are serious and well-founded concerns about academic censorship and self-censorship at these institutes,” Smith said. FARA, passed into law in 1938, requires organizations and individuals to register with the Department of Justice (DOJ) if they seek to influence U.S. officials or American public opinion on behalf of foreign governments. As part of registration requirements, organizations and individuals must disclose their annual budget and expenditures. The international arm of China’s state-owned broadcaster, China Global Television Network (CGTN), recently registered as a foreign agent after the DOJ ordered it to do so in September 2018. By requiring Confucius Institutes to register under FARA, Wang believes the bill will have the effect of “restricting or lowering their activities,” because these institutes would be directly considered an “extension of a foreign government and serve as a tool of a foreign government,” rather than legitimate academic institutions. The bill also calls for greater cooperation and coordination with U.S. allies that are also targets of Beijing’s political influence, such as Australia, Canada, New Zealand, Taiwan, and Mongolia. The bill also proposed “secure outlets for reporting on intimidation and surveillance” incidents that Chinese-Americans, and members of the Chinese, Uyghur, and Tibetan diaspora may face. Practitioners of the banned spiritual movement Falun Gong and exiled Uyghurs have been targeted by Chinese operatives. “We need to empower Chinese-Americans and visiting Chinese students with the knowledge that coercion and threats from Beijing are an unacceptable intrusion of their civil liberties and will not be tolerated,” Smith said.